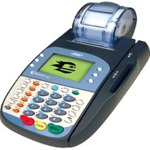 Charge.com offers a wide selection of Hypercom credit card terminals including the most popular Hypercom products, the T7 Plus and T4100. little space on the counter due to its small footprint. Featuring the new SureLoad printer, it prints receipts very quickly, yet operates quietly and efficiently. 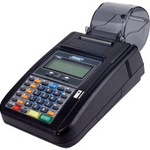 The compact design of the Hypercom T7 Plus does not compromise features or aesthetics, and it is an economical credit card processing terminal and a popular choice among merchants in numerous industries. device than any other card payment terminal in its class.” This credit card processing terminal features an easy setup process, and offers speed and security in a compact 9 inch x6 inch package. Hypercom T4100 credit card readers offer super-fast transaction handling while operating securely to ensure uncompromised processing payments.